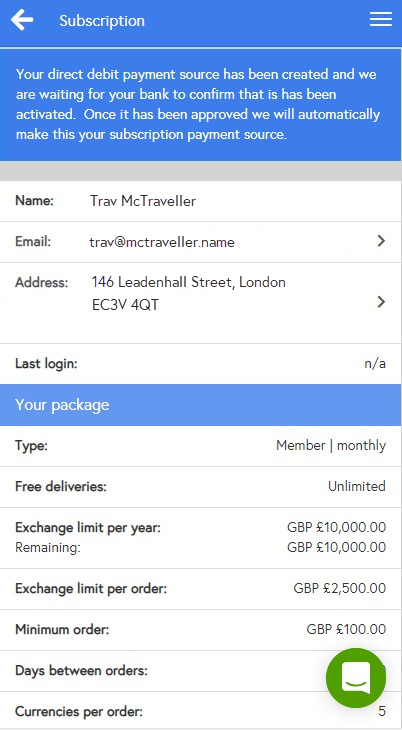 Download the mobile app from Apple App Store or Google Play or visit our website at https://app.travelmoneyclub.co.uk/signup. 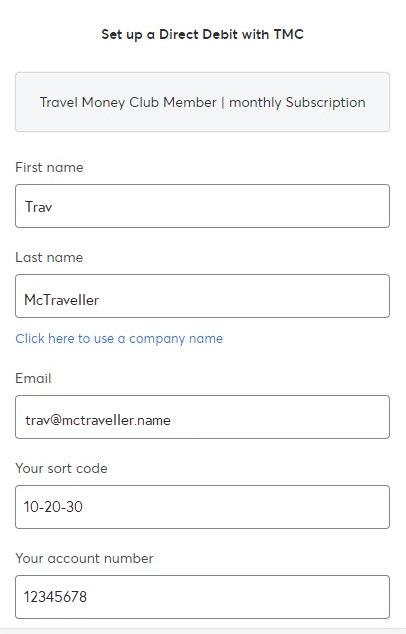 You need an email address that you have access to immediately in order to create an account. Please provide a password at least 8 characters long and containing one uppercase letter, one lowercase letter and one number. Please ensure you carefully review the terms of our Subscription Agreement before continuing. You will receive an email from us containing a One Time Passcode (OTP) that you need to enter. 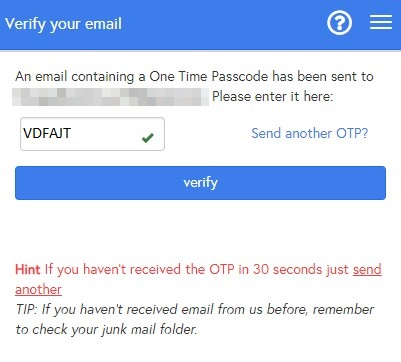 If the OTP does not arrive within a couple of minutes, we recommend you check your junk mail folder before sending another OTP. Each OTP automatically expires after 60 minutes or when a new one is generated. Please ensure that you add our email domains to your list of trusted senders. 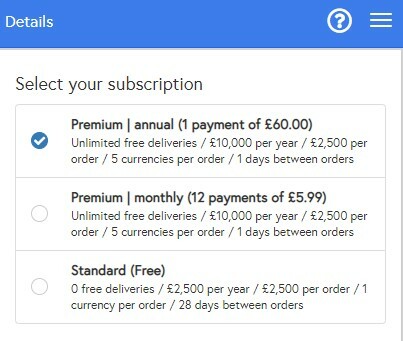 Select your required subscription package - Premium (annual payment), Premium (monthly payments) or Standard (free). 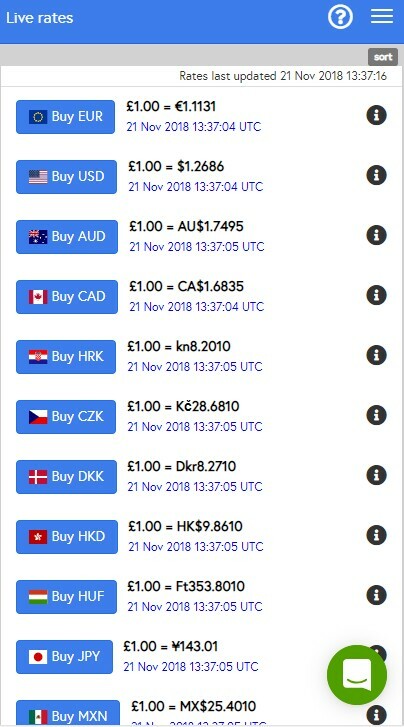 Please note that in addition to the allowances shown on-screen (which may vary from those shown below), Standard accounts have limited benefits. 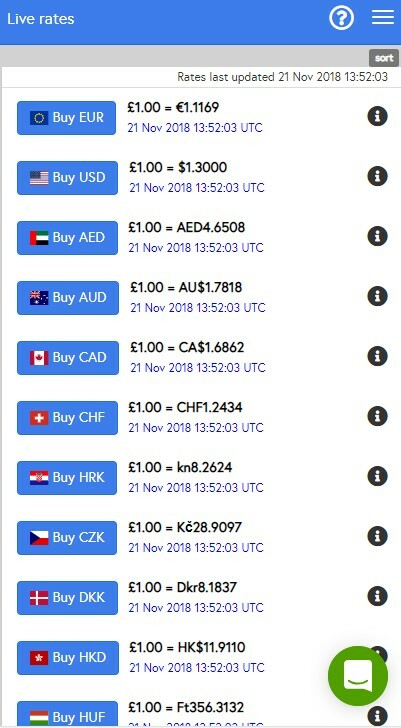 Take a look out our account comparison. 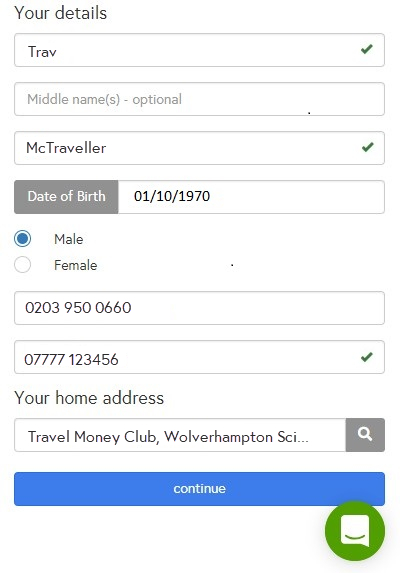 To protect your identity and reduce the chances of fraud, we will verify your personal details with Experian before we accept your subscription, even if you are a guest. You must have a permanent UK residential address registered with Royal Mail. Whether you have chosen annual or monthly instalments, you can pay either by card or direct debit. You must use a card registered in your name and at your permanent UK residential address. We currently accept debit and credit cards from Visa and Mastercard, or Visa Electron and Maestro. 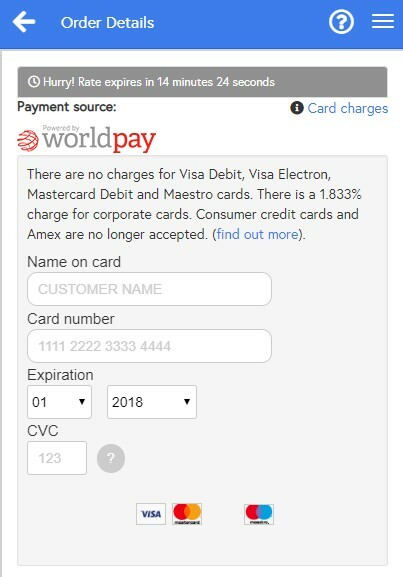 Remember, you are submitting your card details directly to Worldpay for authorisation and we never see them. 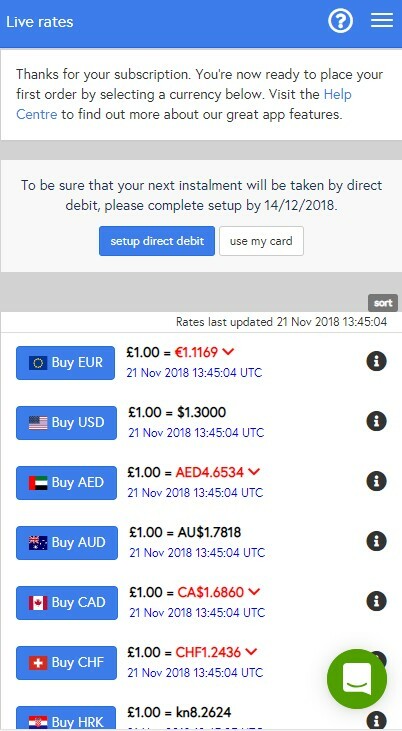 If your payment card is accepted and we have been able to confirm your identity, you can place your first currency order straight away. You will receive email confirmation of your payment and subscription. You must make your first payment using a card registered in your name at your permanent UK residential address. Once your first payment has been processed and your identity verified, you will be able to setup your direct debit. Tip! 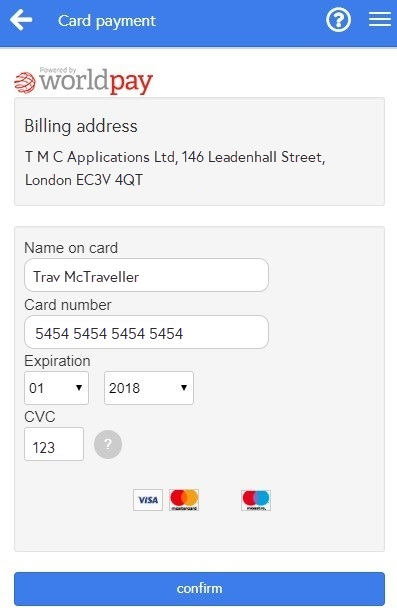 Make sure you setup your direct debit before the deadline which will be shown each time you login, or we'll continue to take payments from your card. You can remove this reminder at any time if you would prefer to continue using your card by tapping the 'use my card' button. 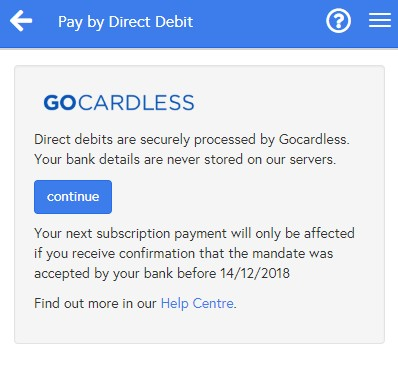 We never see your bank details - we will automatically redirect you to our direct debit partner, GoCardless. You must use a bank account registered in your name and at your permanent UK residential address. 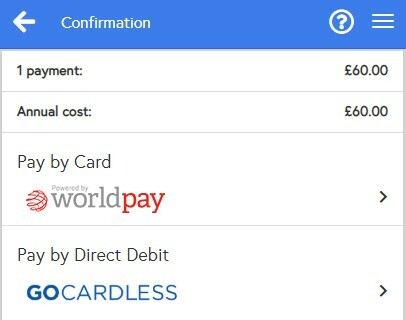 You will automatically receive confirmation when your direct debit has been authorised and setup by your bank. If your bank authorises the direct debit 7 days before your next instalment is due, we will automatically switch to it. Otherwise we will continue to take payments from your card. If you are a guest, you can start ordering straight away. You can upgrade to a Premium subscription at any time by tapping the 'upgrade' button on the home screen or subscription page. Tip! 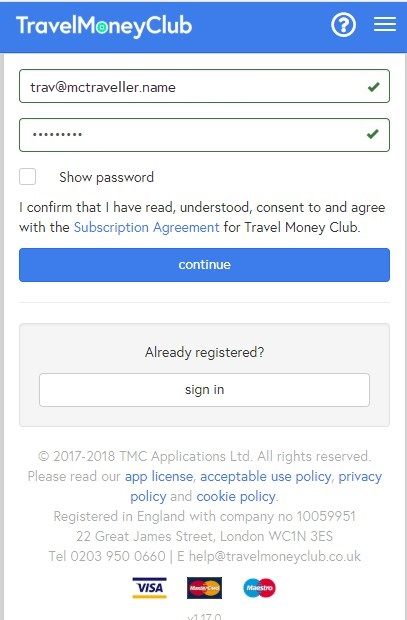 To make sure you receive all our email messages without interruption, please add @travelmoneyclubcouk.intercom-mail.com and @travelmoneyclub.co.uk to the trusted domains in your email software.